If just hearing those sleigh bells jinglin', ring ting tinglin' to is starting to make your head throb, and the stress of the upcoming cooking marathon that is Thanksgiving Day has your head aching and you feel a Migraine coming on, knowing what your actual triggers are is half the battle won. For some of us it's Stress, for others it's hunger, sleep deprivation and more. 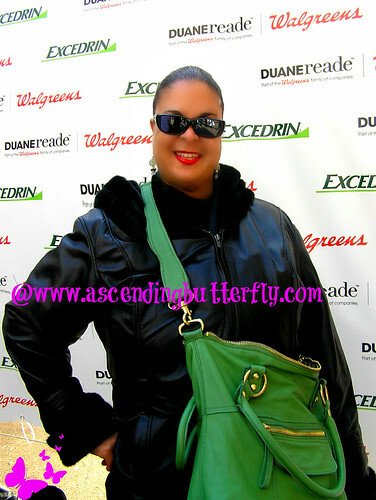 Tracy, Ascending Butterfly Founder and Editor walks the carpet at Duane Reade/Excedrin My Migraine Triggers App Launch in Herald Square New York City! Ƹ̵̡Ӝ̵̨̄Ʒ - Print or email your log and results to share with your doctor to better diagnose and treat your migraines, the more you use it, the more it helps. Note: Since migraines can set-in up to 48 hours after being exposed to a trigger, it is important to record potential triggers whether or not a migraine has started. 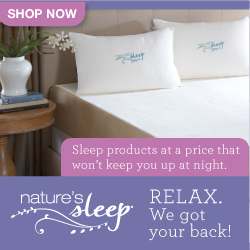 Don’t wait until your next migraine. Download the My Migraine TriggersTM app on itunes and start tracking your migraines today! How I styled it? - Outerwear: Jacket by Wilsons Leather and Handbag: Linea Pelle Dylan Tote! The Event Kicked Off with Massages provided by Oasis Day Spa, I don't know about you, but a good massage definitely helps me relieve stress! If you spend as much time in front of a computer as I do, your neck muscles probably get super stiff and sore too! My Masseur has his work cut out for him, I hold a lot of tension in my shoulders! A sunny, breezy November Day, you can just start to feel the chill in the air, but a massage just makes this beautiful day in New York City that much better! As you can see we had to spend quite a bit of time on my shoulders! 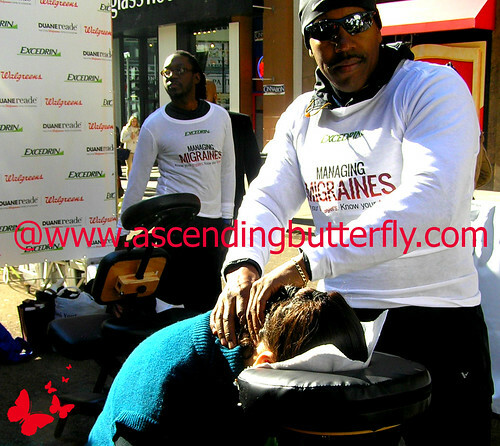 By this time more of a crowd was starting to form, you know free massages in the heart of the shopping district is going to draw attention! Ah! A little slice of Heaven in the City that never sleeps! Can't help but love being a New Yorker on a day like today! All Smiles! I'm one happy butterfly! But I think this massage was to get us ready for what came next! Jordin Sparks is not just a songbird with a beautiful voice, she is a Migraine sufferer too, no wonder she is the 'voice' of this campaign! Ascending Butterfly hoists her Olympus Camera in the air and hopes for the best! Jordin Sparks greets the crowd at the My Migraine Triggers App Launch Event in Herald Square New York City! As 'The Official #TwitterPartyDJ' I can assure you, it's not studio work on that voice, she can really belt it out! Um, Did I mention I had to jump up on a platform for this shot? While events can be fun, it's not so fun or so easy jockeying with the pro-photographers for the perfect shot! OK that killer smile made all the jockeying worth it! Jordin Sparks heads off for one on one Media Interviews! Butterfly did good, if I do say so myself! 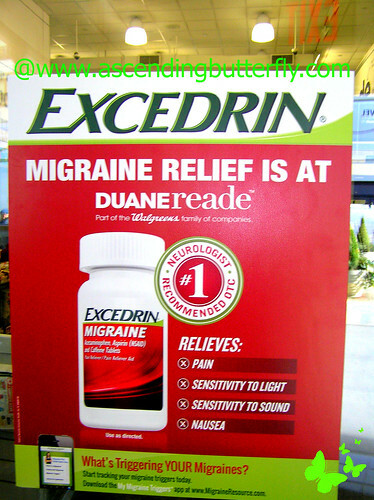 Team Excedrin's Street Crew handed out discount coupons for Excedrin Migraine to the crowd, so I headed over to the Duane Reade on 35th and Broadway with a few of the bloggers in attendance to check out the Excedrin Migraine display and do some shopping! 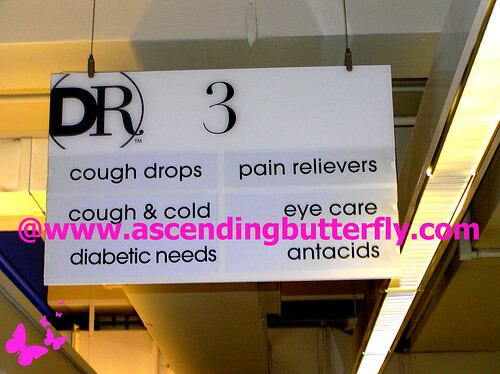 Looks like it's Aisle 3 for Pain Relief! I am sure we confused the poor store staff. A group of bloggers with Cameras is not an everyday occurence, not even in New York City! 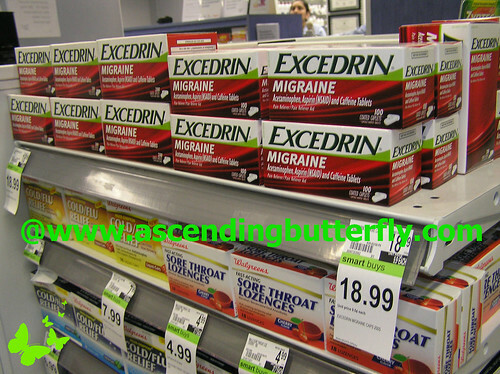 Is it just me, or are Migraines getting pretty expensive? Thank goodness for the discount coupon from the Excedrin crew! Thanks Excedrin! Because of Hurricane Sandy followed by a NorEaster in the North East, all of my meetings and events got shifted to the following week (last week), I literally put in 16 hour days for 7 days last week, to say I was stressed was an under-statement, I can tell you I made sure to keep my Excedrin in my desk at work and at home and I also kept some in a pillbox in my purse too! There was no time for Yoga last week, so having something to treat a Migraine with me was super important! This was on the floor near the Excedrin Migraine Display in Duane Reade! Parting is such sweet sorrow! I literally had to run from this event to another one but I had a great time with both team Duane Reade as well as team Excedrin! And I greatly enjoyed hearing Jordin Sparks sing, she has an amazing voice! You can check out the photos from this shop on Ascending Butterfly's Google Plus Page or on our Pinterest Account! 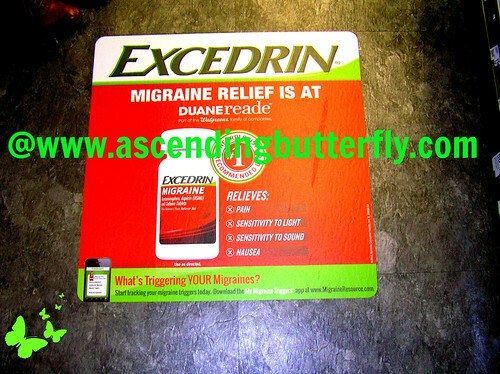 Butterfly: How do you find relief from Migraines? Happy (Not So) Wordless Wednesday! Bloggers feel free to link up your Wordless Wednesday posts as a comment to this thread so we can all check out your pictures too! FTC Disclosure: I am a member of the Collective Bias® Social Fabric® Community. This post has been compensated/sponsored as part of a social shopper insights study for Collective Bias™ and Duane Reade #CBias #SocialFabric #DRExcedrin All opinions are 100% my own. Stress,bills,family and work oh my!! 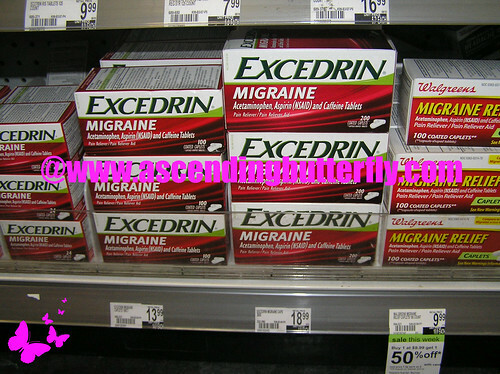 !Wouldn't mind a massage right around now.I have used Excedrin Migraine and wow does it work! !Your pictures of jordan sparks are amazing. @Big Happy Buddha - Stress and Bills are Migraine triggers for most of us, that's for sure! I'm glad that Excedrin Migraine has worked so well for you! It's important to know your triggers so I hope you download the App when you get a chance! Jordin is a great singer, and her personality really does shine through in the photos! I am looking for a general sports travel article (without location like French Alps). @Liza - Try Google.com and use exactly that in your search 'Sports Travel French Alps' - I'm sure you'll get more responses than you even needed, you'll just have to sort them to find exactly the right one!